Getting older can be just as tough on a dog's body as it is on a human's. As the years go by, your dog will start to suffer from joint pain in their legs and hips. Many canine companions experience arthritis, making it difficult for them to perform daily activities comfortably. While you can't stop the signs of aging directly, you can do your part to make your pup's transition into senior status a smoother one. One of the best ways that you help them is by providing them with a high-quality bed. Hard floors put unnecessary strain on their bones and joints. Even the simple act of laying down on a hardwood or tile floor can exacerbate their arthritis problems and cause undue stress. Luckily, there are a number of beds on the market that are designed with older dogs in mind. These beds contain substantial padding and orthopedic memory foam to soften the force of impact. It's the same stuff that's used on high-end beds for humans, so you know it'll benefit your dog. Here's a list of some of the best dog beds for your senior furry friend. This stylish bed is a great option for any dog that's dealing with joint issues. It's comprised of two distinct layers. The bottom is a piece of 3-inch high-density foam. It acts as the support base. The top layer is a 2-inch thick memory foam. The foam is infused with gel to provide even more joint relief. Surrounding the dual-layer construction is a waterproof encasement. It's designed to keep the foam damage-free. A removable zippered cover is also included. The soft fabric is completely machine-washable for easy maintenance. The orthopedic bed is available in a range of cover styles to match your pet's distinct personality. This extra-thick dog bed from Big Barker is specifically designed with larger breeds in mind. In total, the bed measures 7 inches thick. It's made from two different types of foam. Therapeutic foam is used on the top and bottom layer. This material won't flatten over time. Instead, it will retain its original shape and loft for many years. Sandwiched between the two layers of therapeutic foam is a 3-inch block of firm support foam. On top of it all is a piece of contoured foam that acts as a support pillow. The bed is clad in a removable microfiber cover. It's a tough material that's soft to the touch. 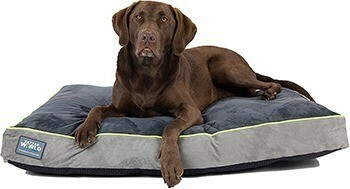 From PetFusion is this soft and supportive bed. It's comprised of a solid memory foam slab. It has a thickness of 4 inches to eliminate all pressure points as your pup sleeps. Bolsters create a comfortable perimeter around the bed. The core of the bolsters contains recycled polyfill material. It's surrounded by another layer of polyester to create a soft pillow for lounging around. A removable cover is included. The machine-washable fabric is treated to provide water resistance. Accidents are absorbed very slowly, giving you enough time to clean up the mess before it affects the foam. It's also resistant to tears and has a non-skid bottom. This bed from Kopeks is made of high-quality memory foam. The foam measures 5.5-inches thick. It's more than capable of supporting your dog's weight, eliminating pressure points, and providing joint relief as they sleep. On top of the memory foam is a built-in pillow. The pillow runs along the width of the bed and rises approximately 2.5-inches high. Two water-resistant linings are used to keep the foam protected. They're zippered shut and can be removed if you ever need to clean up a mess. The outer cover is made of a soft micro-suede material. It too can be removed for easy maintenance. This simple bed has a classic design that can fit into tight spaces like a crate. The outside of the bed has a removable cover. It's made of a durable microfiber material that resists spills. You can easily toss it in the washing machine for cleaning. Inside the bed is memory foam that's been shredded up. The filling provides the best of both worlds. The shredded pieces add a bit of softness. However, it's packed in densely so that the foam can still provide support to your dog's body. A waterproof lining adds an extra layer of protection. Overall, the bed has a thickness of approximately 5 inches. If you're looking for a versatile bed that can be used a number of different ways, consider this orthopedic option from Laifug. It's comprised of multiple foam layers that work in tandem to provide relief from joint pain. A soft spongy foam is used on the built-in bolster pillows. 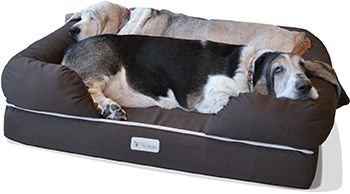 The bolster wraps around the entire perimeter so that your dog can always get comfortable. In the middle of this arrangement is the memory foam. It's supported by an additional layer of firm support foam. This center section can be removed and used as a more compact mattress. A waterproof liner keeps everything protected. The removable cover is made from a durable faux-suede material. This orthopedic option is available in a range of sizes and colors. It has a relatively simple design. However, its simplicity makes it an ideal option for senior dogs. The base of the bed is made from 4-inch thick foam. It's a firm foam that provides stability. This is topped with a 2-inch thick slab of memory foam. A waterproof liner wraps the materials. It's removable and machine-washable for convenience. The included cover is made of premium oxford fabric. It's incredibly durable, easy to clean, and hypoallergenic. A zipper enclosure is located on one side and is covered by a protective flap to ensure that your dog doesn't destroy it. While the term "orthopedic" is used to label beds from a wide variety of manufacturers, there's no real definition of what that is. Veterinarians and dog enthusiasts alike have a general idea of what constitutes an orthopedic bed, but there's no laws or regulations keeping companies from using the term as they please. Unfortunately, it's used more as a marketing term to attract dog owners that are looking for the very best for their pooch. As a result, you may find a bed that's labeled as orthopedic doesn't do much for your dog at all. 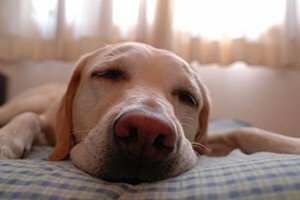 To make sure that your dog's bed is benefiting their overall health and well-being, there are a few things to look out for. An orthopedic bed needs to provide support uniformly throughout your dog's body. There should be no pressure points and it needs to be able to align your dog's spine. To do this, the material inside the bed should be dense, relatively heavy, and capable of holding its shape once your dog has gotten off. The best material for an orthopedic dog bed is memory foam. This unique material is made of polyurethane. When your dog steps onto it, their body heat will make the foam pliable so that it conforms to their shape. It doesn't become malformed or wear out over time. 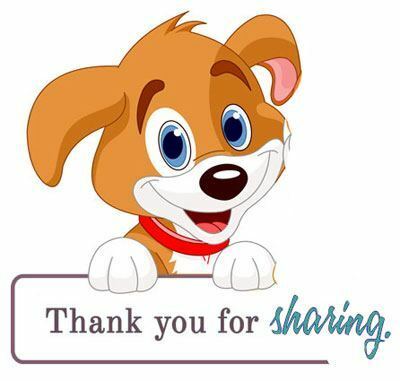 In fact, it's capable of lasting throughout your dog's life with the proper care. 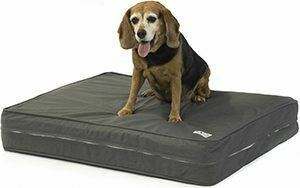 Dog bed makers may use a thick solid slab of the foam or incorporate other types of padding to add height and bounce. Either way, it's a very effective material that can do wonders for your dog's body. They'll be able to sleep in a natural and healthy position. Memory foam and the "orthopedic" moniker go hand in hand. 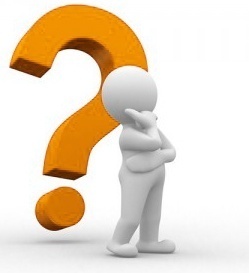 People often assume that a bed with an orthopedic label contains memory foam. However, not all of these products utilize the material, even if the manufacturer claims that it does. It's an unfortunate byproduct of "orthopedic" confusion. Companies may use many types of loose filler or an inferior foam material. Both of these fake memory foam materials will do more harm than good. You can make sure that a bed is truly made from memory foam by performing a few tests. First, take a look at the shape. If it has any lumps or uneven texture, it doesn't have any memory foam and it isn't a good choice for senior dogs. Any bed that uses a cheap fill material should be avoided. Next, place the bed on a hard surface and apply firm pressure with your hand. Real memory foam will conform to the shape of your hand and quickly snap back to its original shape after you've taken it off. Finally, you can give the bed a whiff. Memory foam tends to have a very distinct smell thanks to the manufacturing process. To ensure that your dog gets a comfortable night of rest like they deserve, you need to make sure that their bed is truly helping them. In addition to checking if there's actual memory foam used, there are a number of things to look out for. A high-quality bed that's actually orthopedic tends to come with a higher price tag than standard beds, so you'll want to make sure that you choose the very best option for your dog before making the investment. The size of the bed is an important factor that plays a big role in the unit's overall comfort and efficiency. While it may be tempting to choose a bed that fits in a designated spot perfectly, it's better to select a size that's catered to your dog. Your furry pal should be able to stretch out completely without having any limbs hanging off. As a good rule of thumb, it's better to get a bed that's too big rather than one that's too small. Your dog's sleeping posture is crucial, so they need to have unrestricted movement throughout the night. If they want to curl up into a ball, they can do so. The important thing is that they have the room to sprawl out when their body starts aching. 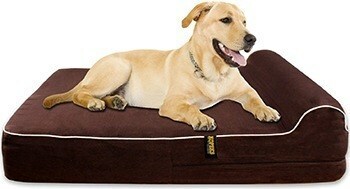 Thick dog beds provide more support and make it easier for your pooch to gain access. At the very least, it needs to have a total thickness of 3 inches. However, it's recommended that you move up to 5 inches for senior dogs. Those couple extra inches can make the world of difference. If you have a larger dog, feel free to go even thicker. The thicker the foam and padding, the better it will be. With that being said, you should also make sure that the final height of the bed is right for your dog. If they suffer from arthritis, you don't want to make it harder for them to climb in. Make sure that they can gain access comfortably. Most dog beds are comprised of multiple layers. It's a good idea to take a closer look at what types of layers are used to ensure that it's right for your senior dog. The best option will have at least two layers that provide a healthy mix of soft and hard. The go-to for many people is to get the softest bed possible. However, dogs with joint issues need a firm layer that relieves any pressure. Look out for a bed with a firm bottom layer that offers support. Above that should be the memory foam. The closer the memory foam is to their body, the better. Some manufacturers may apply another layer of gel or padding on top of the foam to add some bounce. This option is alright as long as the layer isn't so thick that it negates the qualities of the memory foam. Beds can come in all shapes and sizes. Some of the most popular designs are oval or rectangular. Rectangular beds are perfect if your dog sleeps in a kennel all night. Either option is fine as long as your dog can still spread out with no problem. Some beds also come with bolsters or slightly raised edges. These can be great for lounging around. They act as pillows to keep your dog's head propped up. If you choose to go with this type of design, it's recommended that you get a unit that's large enough for your dog to lay on without taking the bolsters into account. Your pooch shouldn't sleep on the raised portion, as it can throw off their spinal alignment. If they can spread out without touching the built-in pillows, the bed will serve them just fine. Most dog beds come with a cover that designed to protect the foam underneath and provide a bit of added comfort. Look out for products that are made from thicker material. Even senior dogs can be destructive. The cover is the only barrier protecting the foam, so you'll want to get something that will prevent your dog from getting through. Another thing to consider is accidents. It's not uncommon for senior dogs to have bladder control problems. Many manufacturers offer waterproof covers or liners that will keep any messes contained. This will ensure that the expensive memory foam underneath doesn't get ruined. Let's face it, dog beds can get pretty smelly. Constant drool and pet dander can lead to noticeable odors that linger, so you'll want to find a bed that's easy to clean out. Go with an option that has a removable cover. If the cover is machine-washable, that's even better. Some beds also have layers that are separated from the memory foam via some thin fabric. These can often be washed to take care of any smells that make their way through the cover.